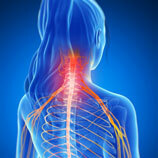 There are many causes for back and neck pain. Unfortunately, most patients who visit our chiropractors and physical therapists have tried other treatments, which have been unsuccessful in relieving their pain. In addition, some have had MRIs on their spine and are concerned about having an invasive procedure. At Aspire, we treat many disc-related injuries with non-invasive physical therapy procedures that are safe and effective. Spinal Decompression Therapy uses state-of-the-art technology to apply a distraction force to relieve the nerve compression often associated with low back/neck pain. By taking pressure off the injured area, blood flow is increased, bringing more oxygen and nutrients to help repair the damaged tissue. Most patients who seek out our spinal decompression treatment say, “I feel like I need to be stretched.” Decompression machines can be programmed to stretch a specific spinal level, targeting the injured area. Many people fall asleep during the treatment because it is so comfortable. Our chiropractors and physical therapists recommend this type of physical therapy as a great option for those who want to avoid more invasive procedures. Spinal Decompression combined with a customized physical therapy, chiropractic care, and deep tissue laser treatment allow us to successfully treat many difficult cases. We know that when you’re in pain you need help now! 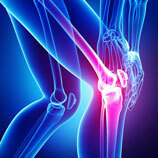 We strive to get patients in for treatment within 48 hours, if not sooner. Spinal Decompression Therapy may be the answer for you! 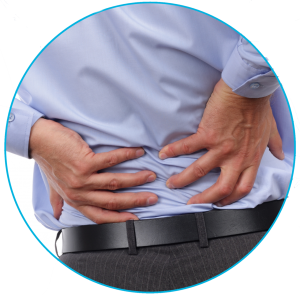 More than 30 million Americans like you suffer from back pain every day. The pain likely affects everything you do - from work to play and ultimately your quality of life. At Aspire, we use the most advanced treatment options available including: Spinal Decompression Therapy and Deep Tissue Laser Therapy combined with Chiropractic, Physical Therapy, and pain management, if needed. Aspire is in the network with most major insurance companies including medicare. When you come in for your free consultation we will go over your insurance benefits allowing you to make an informed decision about your care. 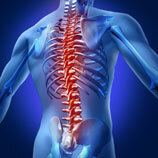 Is Spinal Decompression Therapy for me? When you visit a shopping mall, have you located every chair and resting area? Is it difficult to stand or walk for long periods of time? Do you lean over the grocery cart for support while shopping? Do you have pain in your neck or back with numbness or tingling in your extremities?